Beyond the laid back, relaxed mood created by Johnson’s acoustic guitar, it is his lyrics that consistently bring me back to his music. Using his lyrics, I loosely constructed the narrative of this compilation. Starting with his cover of The White Stripes’ “We’re Going to Be Friends,” the songs trace the stages of a relationship from the initial meeting and forging of a friendship all the way through to “Do You Remember?” when the speaker of the song is looking back on their relationship 10 years later. Who can’t relate to “Sitting, Waiting, Wishing,” from 2005’s In Between Dreams. In it, Johnson sings of unrequited love from that special someone who keeps him in the friend zone no matter how hard he tries to win her affection. That brings us to “If I Had Eyes” from 2008’s Sleep Through the Static, which is the sad song that is essentially the low point of the relationship, when it’s seemingly hopeless for things to move forward. But it’s not hopeless. 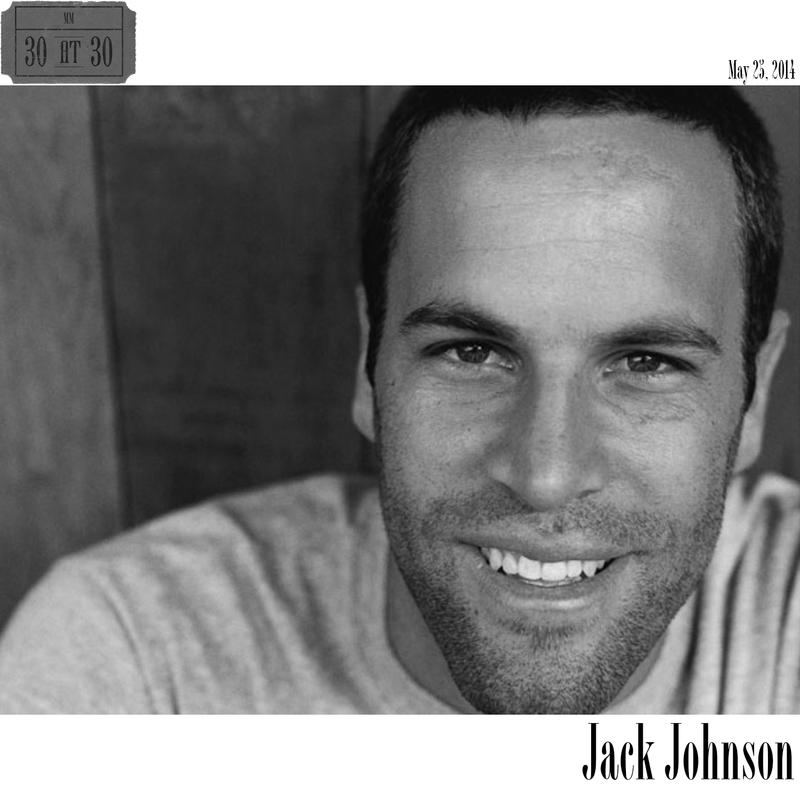 “Better Together” from 2005’s In Between Dreams is probably my favorite Jack Johnson song because of the simple, astute observation that “it’s always better when we’re together.” If you and your special someone can agree on that much, the rest can all be worked out. And so the narrative of this compilation progresses. Brushfire Fairytale’s “Bubble Toes” hits with the line “I remember when you and me mmm how we used to be just good friends…” suggesting a progression in the relationship. That’s followed by “Never Know” from In Between Dreams as well as “Times Like These” and “Cocoon” from 2003’s On & On, which represent the challenges and bumps faced in making a relationship work. “From the Clouds” off of 2010’s To The Sea brings the relationship back to earth. The singer wises up and actually says some of those things that people in love too often let go unsaid. And I know you know me well enough to know I’m lucky to have you. But all this just the little things, the words that I should tell you all the time. You’re so sweet to me when you beat me in doubles solitaire. You’re so sweet to me in a world that’s not always fair. “Traffic In The Sky” speaks of words of wisdom that go unheard. In “No Other Way,” the singer follows with a promise to share whatever wisdom he does gain with his significant other. “Breakdown” has been broken down quite interestingly here, but to summarize it very quickly, it’s about simplicity and appreciating the beauty of all that is around us, including, perhaps most importantly, the people who we interact with every day. “Upside Down” ends with the rhetorical question, “Is this how it’s supposed to be?” which could be directed in a number of different ways. For the purposes of the narrative being told by this compilation, it fits in with the relationship motif. Even the strongest relationships have struggles, and one can imagine the singer questioning his life and relationship with this self-posed question. Johnson calls it “the world.” You could just as easily substitute “God” or some higher power for the words “the world,” depending on your spirituality. Regardless of which language and worldview you’re most comfortable with, I think there’s some truth in Johnson’s lyric. Tragedy and tough times strike and people overcome, time and time again, even when it sometimes seems impossible. That strength has to come from somewhere or someone—family, friends, faith, etc. The next track, “Ones and Zeroes” off of 2013’s From Here To Now To You also has a bigger-than-this-world quality to it. Once again, Johnson is at his best keeping the song and lyrics sweet and simple yet somehow so profound. “I Got You” is in many ways the grown-up version of “Better Together,” demonstrating the strength of a true partnership. Finally, “Do You Remember?” closes the compilation with a nostalgic look back at the relationship. And if you think the fact that he sings about meeting in September (the same month I met Jessie, nearly 11 years ago) and a piano taking up the living room makes me a little sentimental, well, you’d be right.